The Pan Pacific Singapore is my most frequented and definitely one of my favourite hotels in Singapore. Situated near Marina Bay, the hotel offers a luxurious escape for the city dweller despite being right smack in the middle of all the action. The hotel underwent a major refurbishment that was completed in 2012. As an almost permanent structure in one of Singapore's most prominent area, I was pleasantly surprised to see what has been done to the hotel internally. At check-in, I was upgraded to a Harbour Studio from a Panoramic Room as a Platinum GHA member. Be mindful that the check-in area can be quite messy during peak hours and there isn't usually a clear line for checking in. While staff are generally eager to help you, I found that many of the front office staff lacked initiative in organising guests. The Harbour Studio room was spacious and it even offered a separate mini-bar area with bar stool. I had a really good view of the iconic Marina Bay area from my room. The room came with a Nespresso machine which meant that you could enjoy decent instant coffee (not an oxymoron I hope) while gazing out into the magnificent view. There were also automatic curtains for your convenience (which proved to be of great value in the morning and before bedtime). 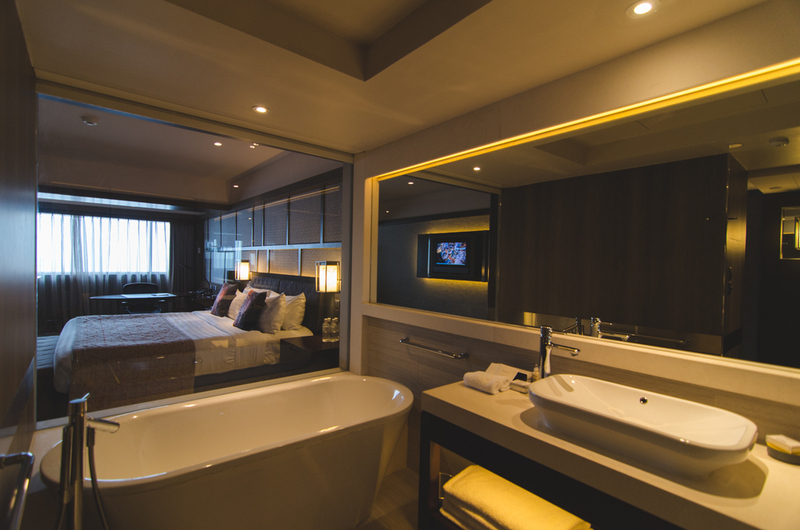 My favourite part of the room has got to be the bathroom which comes equipped with a stylish and deep bathtub. I personally would not recommend the Deluxe and Deluxe Balcony room types since they do not come with a bathtub and are generally on lower floors. A wide range of amenities from Elemis were provided in this room. A small tin of bath salt (single use) was also provided by the tub. Devices can be connected via HDMI ports located near the work desk to be displayed on the 37" LCD TV. The bathroom also came with inbuilt speakers which meant that you could enjoy watching your videos while taking a deep soak. 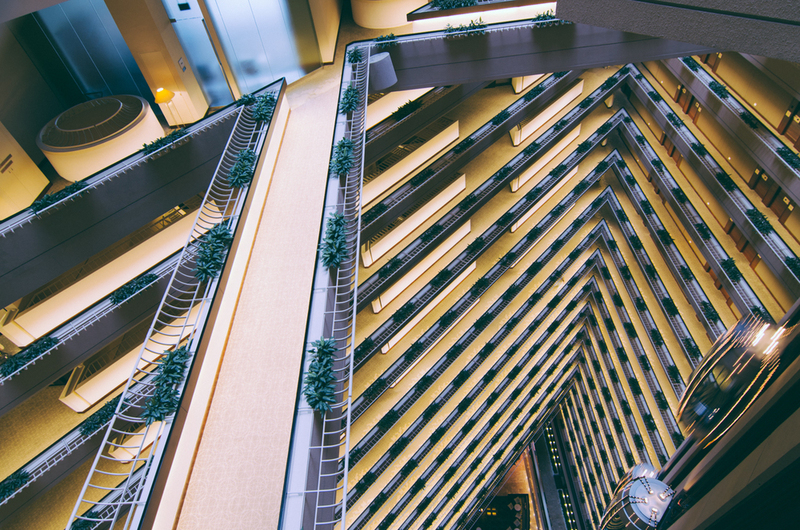 This hotel, like the Holiday Inn Singapore Atrium, boasts a spectacular view of the atrium from above. The night view of the Marina Bay area is absolutely magnificent from the room. You can watch the laser and light show from Marina Bay Sands and I do believe that these rooms are absolutely perfect for the National Day fireworks display. The hotel is located near many eating places like the Makansutra Glutton's Bay which offers delicious hawker food at a reasonable price. Additionally, there are also many shopping malls around the area and as such, dining options are aplenty. There is also a complimentary turndown service that you can request for should you require one. The breakfast at Rise restaurant is definitely one of the best that I have had in Singapore. There is a huge selection of breakfast ranging from light pastries to noodles and Chinese dim sum. It is worth noting that there is likely to be a line from approximately 930am so be down slightly earlier to enjoy breakfast before heading up for one final soak. 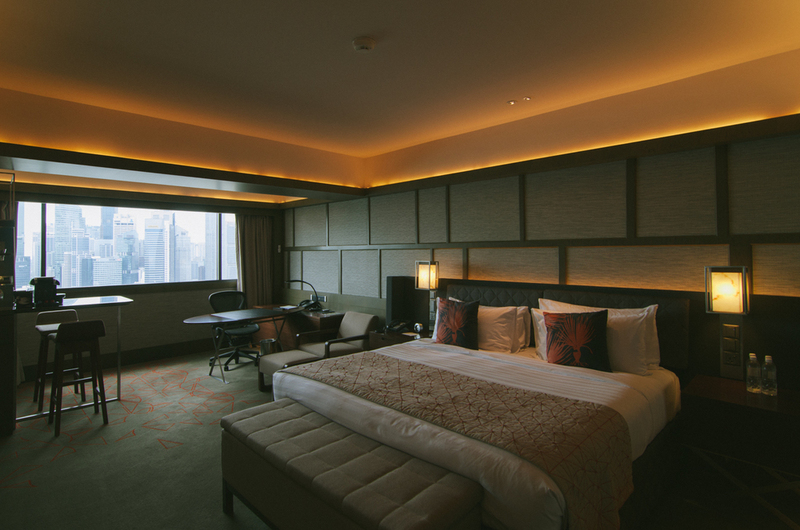 The room rates in Pan Pacific Singapore do not come cheap so I strongly recommend shopping around online travel booking websites or contacting your travel agent for a better rate. I found the rates listed directly on the website to be quite expensive unless you're going for an advance booking rate (which does not include breakfast). Personally, I think that the breakfast at this property is a must. The quality and variety offered at the Edge restaurant are both sophisticated and extensive.